I often hear people joke, “Ranching for profit? That’s an oxymoron.” I get frustrated hearing it, but I don’t blame anyone for thinking it. There is a lot of evidence to support the “ranching isn’t profitable” paradigm. These days ranches are valued more for the scenery than for livestock production. In fact, looking at a ranch real estate listing this morning I saw that the price of one property had been reduced. According to my calculations, it was now only 20 times what a person could expect to cash flow with livestock. It was the only listing I found that actually reported the number of animal units the property would carry. That speaks volumes about what ranches are really for these days. But the “ranching can’t be profitable” paradigm is wrong! Many of our graduates are ranching for profit. I’ve had the good fortune to work with forward-thinking ranchers from every ranching state and province. It’s an incredible feeling to spend an evening with an RFP graduate as they describe the transformation they’ve seen in their land, their lives, and their businesses. Most don’t realize it, but the biggest transformation of all, is in themselves. 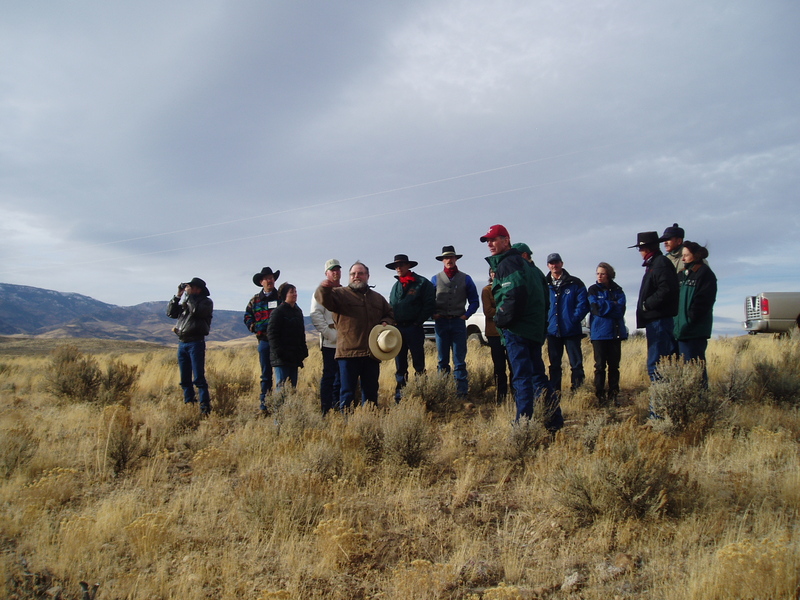 When I first started teaching The Ranching For Profit School in 1992, Stan Parsons, who started the school and founded Ranch Management Consultants, asked me what I thought the purpose of the school was. I told him that it was to give people the tools and insights they needed to transform their ranches into successful businesses. Stan shook his head and firmly said, “No.” He said the school had one primary function, and that was to change the way people think. Stan was right. Changes that seem impossible given one way of thinking are relatively simple when looked at through a different paradigm. If you think that ranching can’t be profitable, you will prove yourself right. If you think it is possible to make a profit ranching, you can find a way to make it happen. As a lead up to our Ranching for Generations Conference in Sheridan, WY next summer, we plan to introduce ProfitTips readers to people who are ranching for profit. We are assembling a collection of short interviews with RFP grads in which they describe the way things were pre-RFP and the way things are now. We will share one interview in each email edition of ProfitTips leading up to the conference. Head over to our conference page to read the interviews. We find them inspiring. We think you will too, because if someone is doing it, it is possible! If you are an RFP grad who would like to share your story with us you are welcome to participate in this project too. Just click here to access the six Ranching for Generations interview questions. Every couple weeks when you publish these ProfitTips I feel like a kid opening a Christmas present. Expanding your mind, changing your way of thinking and looking for the opportunities in ranching are always inspiring.